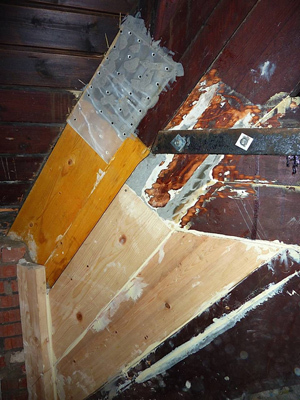 Traditional methods of dealing with decay in large section structural timbers embedded in masonry, such as beam and truss ends include; timber splices with traditional bolted connections, fabricated steel extensions, or complete replacement (usually with a steel beam). 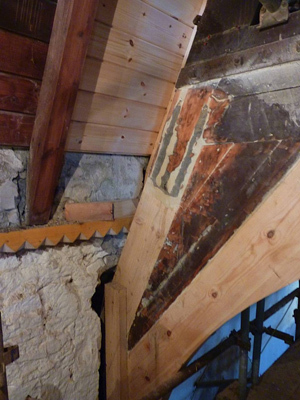 There is a visual/ aesthetic trade-off for these types of repairs, and where they are unseen it is usually accepted. There are two situations where a timber resin splice (TRS) will be a more appropriate option. 2) When the removal of ornate fabric such as decorative plasterwork or panelling needs to be minimised; a decayed bressummer beam end over a bay window with ornate ceiling cornice is a good example. 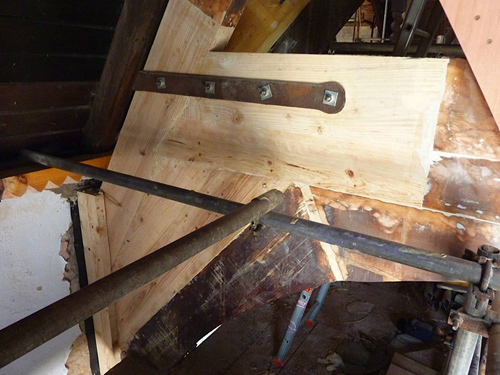 A TRS repair can be effective in several ways, depending on the circumstances of the damage and the location, but essentially it minimises downtakings, and leaves the repair so that it can be varnished or decorated to its pre-spliced appearance. The process involves cutting back decayed material and replacing it with an in-line splice of timber of the same section, slotted, and connected with steel re-bar and TG6 structural pouring resin. Each splice is individually assessed and designed, and can be provided with calculations, if required. 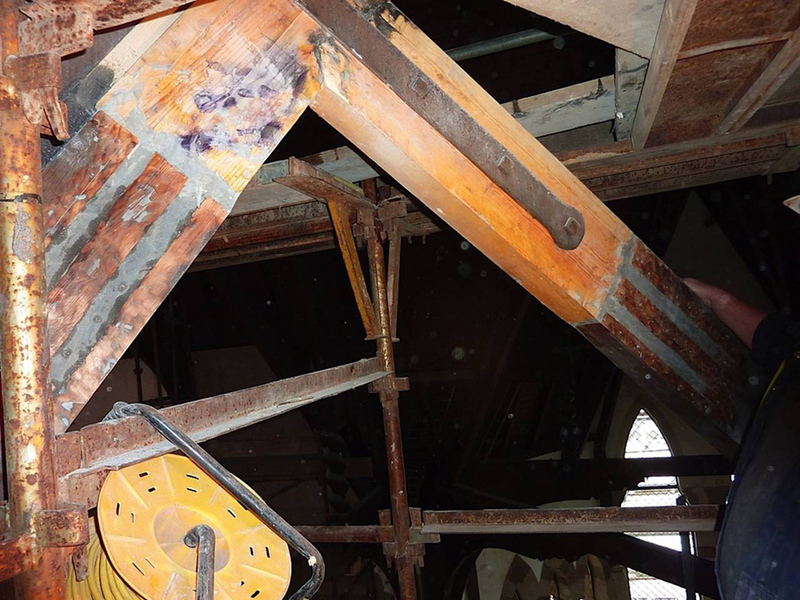 We have undertaken large, ornate, and extensive TRS repairs in historic buildings such as at the Fairfield Shipyard Offices in Glasgow, Trinity Church Irvine, Dennistoun New Church, and several other buildings. Eradakil Limited are members of GPI (Guarantee Protection Insurance) and CGS (Construction Guarantee Services) who administer and issue Independent Insurance Policies to cover timber resin repairs.